2)	Tulving, E. (1972). Episodic and semantic memory. In E. Tulving & W. Donaldson (Eds. 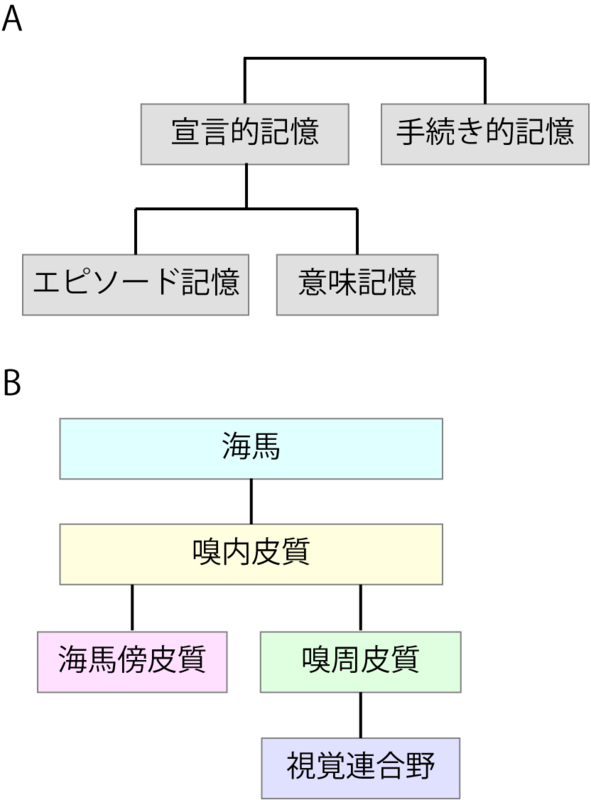 ), Organization of memory, (pp. 381–403). New York: Academic Press. 3)	Corkin S. What's new with the amnesic patient H.M.? Nat Rev Neurosci. 2002 ; 3 : 153-60. 4)	Stefanacci L, Buffalo EA, Schmolck H, Squire LR. Profound amnesia after damage to the medial temporal lobe: A neuroanatomical and neuropsychological profile of patient E. P. J Neurosci. 2000 ; 20 : 7024-36. 6)	Hodges JR, Graham KS. Episodic memory: insights from semantic dementia. Philos Trans R Soc Lond B Biol Sci. 2001 ; 356 : 1423-34. 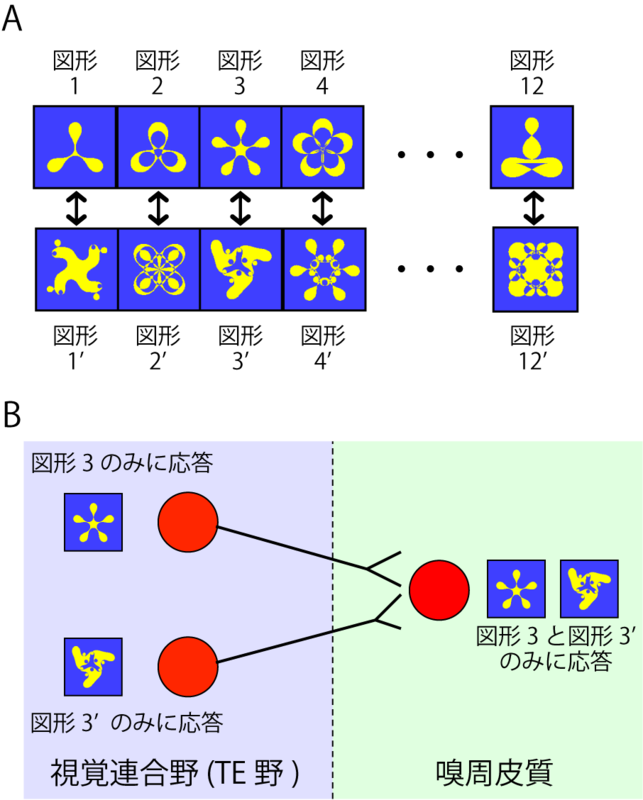 7)	Sakai K, Miyashita Y. Neural organization for the long-term memory of paired associates. Nature. 1991 ; 354 : 152-5. 8)	Naya Y, Yoshida M, Miyashita Y. Forward processing of long-term associative memory in monkey inferotemporal cortex. J Neurosci. 2003 ; 23 : 2861-71. 9)	Yoshida M, Naya Y, Miyashita Y. Anatomical organization of forward fiber projections from area TE to perirhinal neurons representing visual long-term memory in monkeys. Proc Natl Acad Sci U S A. 2003 ; 100 : 4257-62. 10)	Messinger A, Squire LR, Zola SM, Albright TD. Neuronal representations of stimulus associations develop in the temporal lobe during learning. Proc Natl Acad Sci U S A. 2001 ; 98 : 12239-44. 11)	Naya Y, Yoshida M, Miyashita Y. Backward spreading of memory-retrieval signal in the primate temporal cortex. Science. 2001 ; 291 : 661-4. 12)	Hasegawa I, Fukushima T, Ihara T, Miyashita Y. Callosal window between prefrontal cortices: cognitive interaction to retrieve long-term memory. Science. 1998 ; 281 : 814-8. 13)	Tomita H, Ohbayashi M, Nakahara K, Hasegawa I, Miyashita Y. Top-down signal from prefrontal cortex in executive control of memory retrieval. Nature. 1999 ; 401 : 699-703. 14)	Clayton NS, Dickinson A. Episodic-like memory during cache recovery by scrub jays. Nature. 1998 ; 395 : 272-4. 15)	Babb SJ, Crystal JD. Episodic-like memory in the rat. Curr Biol. 2006 ; 16 : 1317-21. 16)	Roberts WA, Feeney MC, Macpherson K, Petter M, McMillan N, Musolino E. Episodic-like memory in rats: is it based on when or how long ago? Science. 2008 ; 320 : 113-5. 17)	Tulving E. Episodic memory: from mind to brain. Annu Rev Psychol. 2002 ; 53 : 1-25. 18)	Yonelinas AP, Kroll NE, Quamme JR, Lazzara MM, Sauvé MJ, Widaman KF, Knight RT. Effects of extensive temporal lobe damage or mild hypoxia on recollection and familiarity. Nat Neurosci. 2002 ; 5 : 1236-41. 19)	Squire LR, Wixted JT, Clark RE. Recognition memory and the medial temporal lobe: a new perspective. Nat Rev Neurosci. 2007 ; 8 : 872-83. 20)	Diana RA, Yonelinas AP, Ranganath C. Imaging recollection and familiarity in the medial temporal lobe: a three-component model. Trends Cogn Sci. 2007 ; 11 : 379-86. 21)	Fortin NJ, Wright SP, Eichenbaum H. Recollection-like memory retrieval in rats is dependent on the hippocampus. Nature. 2004 ; 431 : 188-91.